I made this using MFT sketch 177. 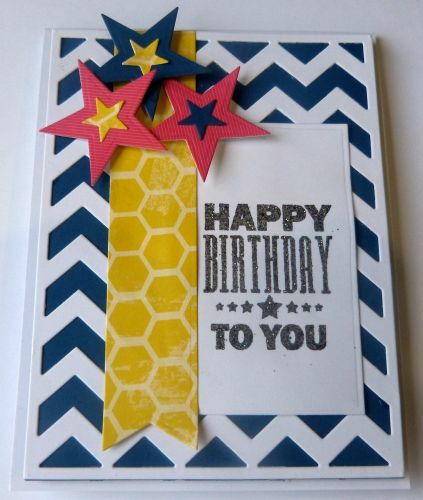 I needed a masculine card and I loved the use of stars by Michele, so I went with that. Michele, thank you for the inspiration. I used Blueprints for the blue panel and then chevron plate on the top. I added this on pop dots. I cut a rectangle from the Rectangle stax and embossed the sentiment from borthday greetings with Recollections charcoal embossing powder. 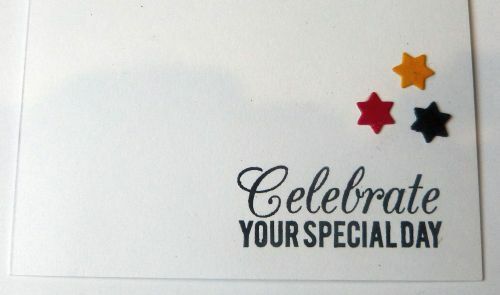 A flag stax and popped stars complete the card. The inside has another sentiment and three stars that come form the snowflake die. They were dipped in MFT nigthshift blue, lemon drop and electric red ink. I am also entering it in Little Miss Muffet– anything goes; Challenges 4 everybody– anything goes; Whimsy stamps– two or more die cuts and Word Art Wednesday– anything goes. Oh wow, this is so beautiful, love the design and the colors and different patterns. It all works so well together, I love it.